The head of the Australian Communications and Media Authority (ACMA) says that the regulator has found evidence that telcos are not abiding by new complaints-handling rules. The ACMA has introduced a range of measures aimed at reducing end user complaints related to NBN services. Figures released by the Telecommunications Industry Ombudsman (TIO) in April revealed a year-on-year increase in NBN complaints of 204 per cent in the second half of 2017. Similarly the Australian Competition and Consumer Commission (ACCC) has seen a significant rise in NBN-related complaints. The ACMA has rolled out a range of new rules for companies that supply NBN services — with the regulator noting today that all have now all commenced and are enforceable. • A Service Continuity Standard to stop households being left without broadband if there are problems during the migration to the NBN. 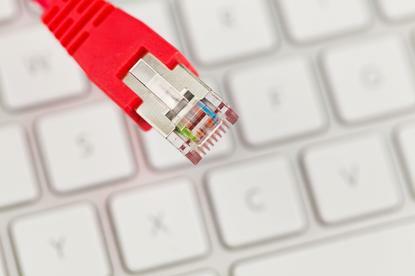 • Migration rules intended to stop consumers being sold unachievable speeds — an issue that has resulted in tens of thousands of households that were sold fibre to the node (FTTN) and fibre to the building (FTTB) services being eligible for compensation from Australia’s biggest telcos. • Rules governing how complaints are handled by telcos and the information consumers are given about NBN plans. The complaints-handling rules introduced by the ACMA require telcos to acknowledged complaints within two working days, use their best efforts to resolve complaints on first contact, and resolve complaints within 15 working days. The ACMA said today it has a “targeted audit of compliance well underway”. “Our preliminary findings indicate that telcos still have a long way to go to comply with these new complaints-handling rules,” said ACMA chair Nerida O’Loughlin. Industry group Communications Alliance earlier this year called for the ACMA to exercise restraint when it came to enforcing the complaints-handling rules while telcos work on complying with the new regulations. In August, the ACMA released a statement outlining its approach to compliance and enforcement of the new rules. “Where we identify a potential breach of the new rules, we will take prompt action that is proportionate to the risks and harms involved but takes account of the need for specific and general deterrence,” the regulator said.